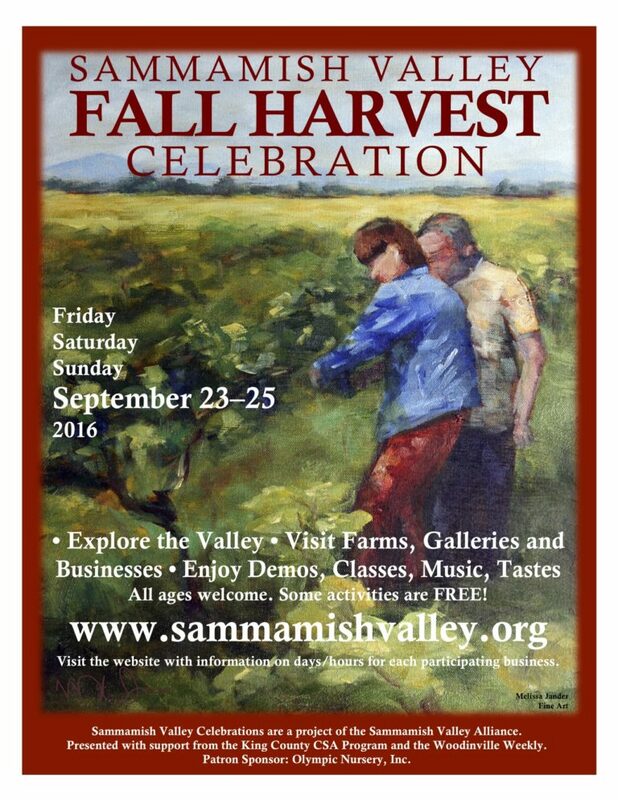 Woodinville, WA – Celebrate the change of season by exploring the beautiful Sammamish Valley during the annual Fall Harvest Celebration. Visit farms and businesses to enjoy food and farm demonstrations; take a class; listen to music; sample freshly pressed apple cider; taste farm-fresh food; or just enjoy a peaceful, crisp walk in a farm field. Throughout the weekend, September 22nd to 24th, you’ll find a variety of Valley farms and businesses with activities that celebrate the fall harvest. Each location has its own schedule of events during the Celebration. All ages are welcome and some activities are free. Visit sammamishvalley.org for more information, links and individual schedules on what’s planned. Participating farms and businesses include: 21 Acres, Gathering Fabric Quilt Shop, Off the Branch Farm, Molbak’s garden + home, SAgE Sammamish Valley Student Farm, Sammamish Valley Farm, Sammamish Valley Grange and Tonnemaker Valley Farm. This year’s celebration includes some highlights: Get Squashed! 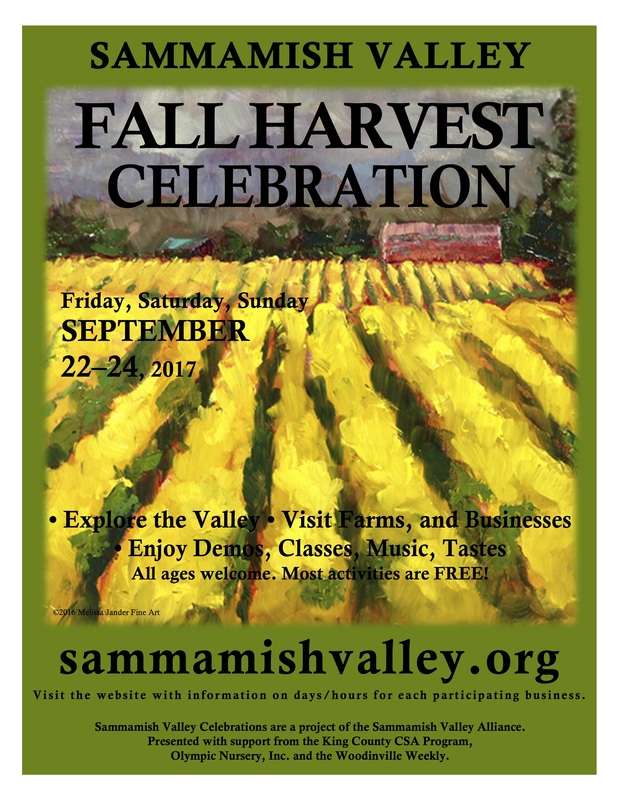 at 21 Acres on Saturday, September 23rd; Molbak’s celebrates with the ‘Local Roots’ celebration also on Saturday, the 23rd; SAgE Sammamish Valley Student Farm will have educational demonstrations and tours on Friday and Saturday, September 22nd and 23rd, and the Sammamish Valley Farm will have a 100 year-old apple press along the River Trail Saturday and Sunday, the 23rd and 24th.